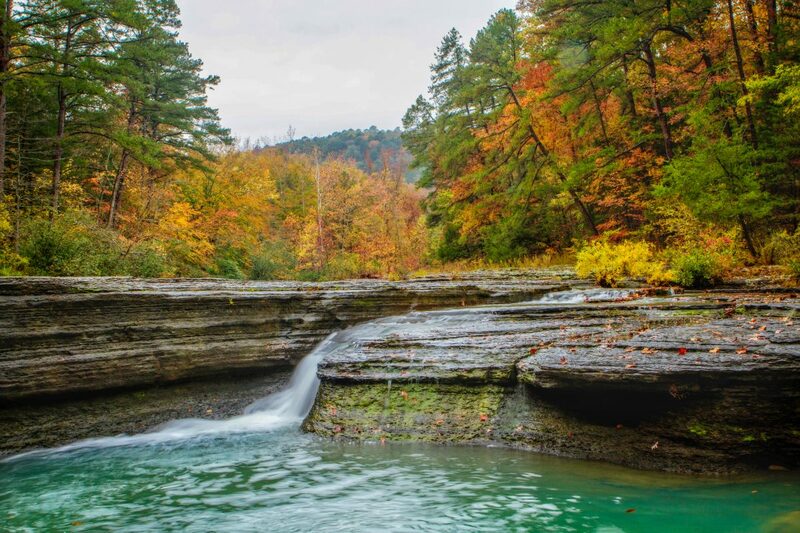 You can find dozens of majestic waterfalls in Arkansas, but this lesser-known gem hidden away in the Ozark National Forest is unlike any other in the state. 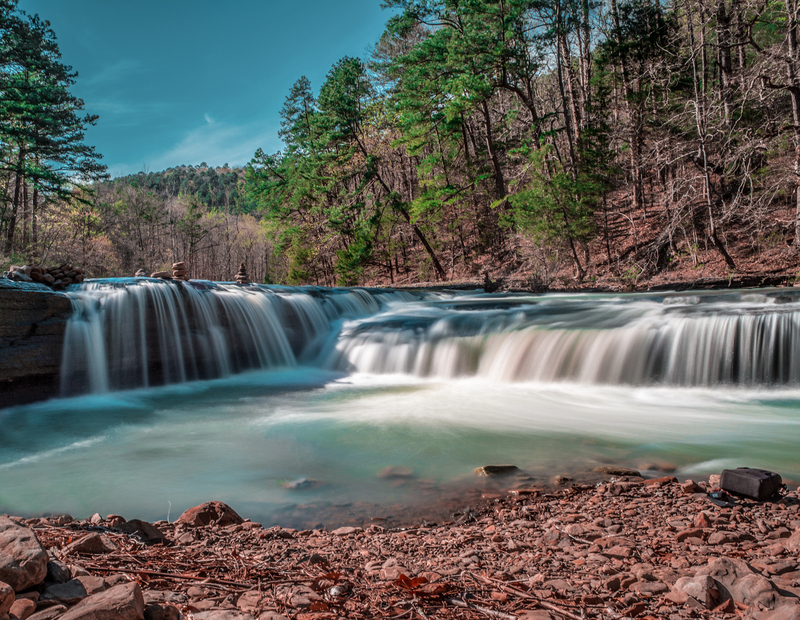 Get acquainted with the hypnotizing natural phenomenon of waterfalls in Arkansas graciously provided by Mother Nature herself while visiting Haw Creek Falls Recreation Area & Campground. 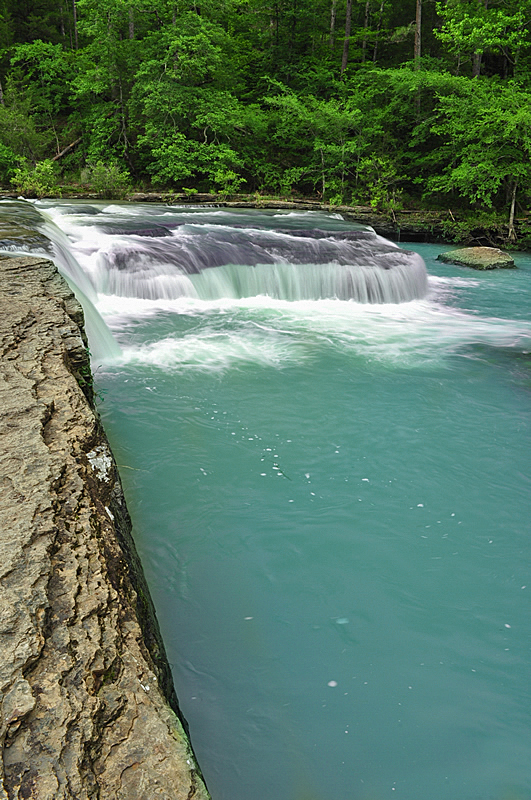 Haw Creek Falls is one of the most incredible natural waterfalls in Arkansas within the Ozark Mountains, which cover approximately two-thirds of The Natural State. 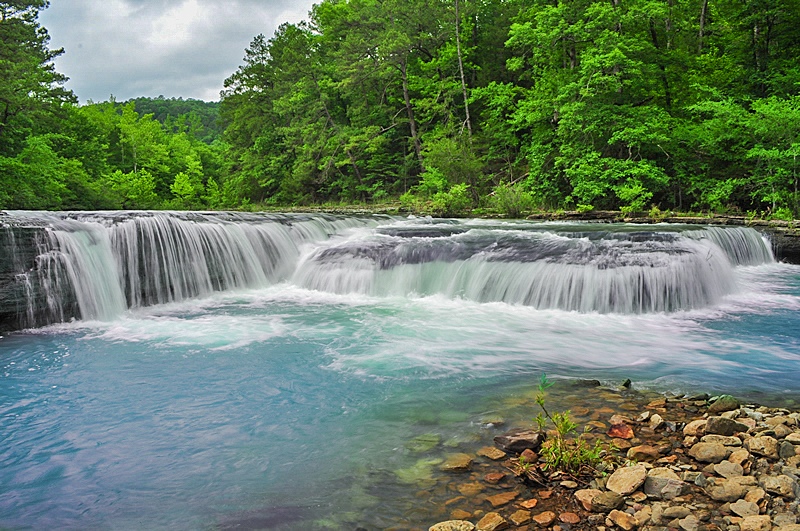 There is plenty of wild country to explore here: the Ozark National Forest spans 1.2 million acres, but the highlight of this area for many is this picturesque waterfall hidden away in the forest. 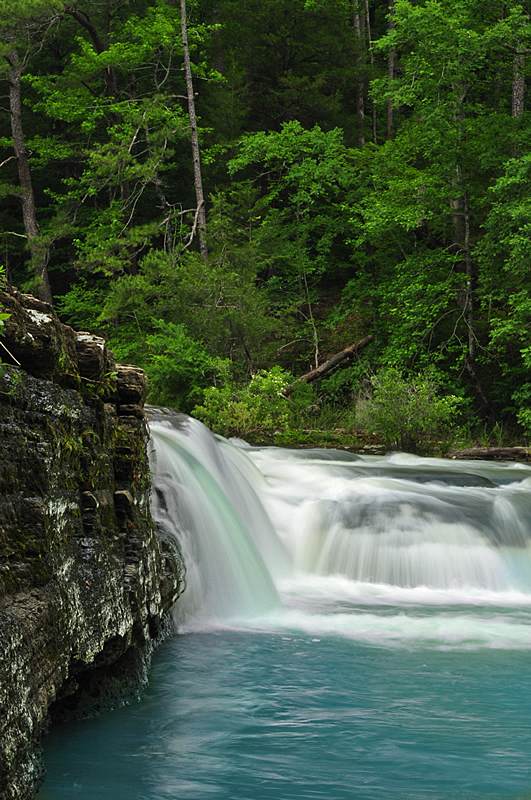 Only a short walk from the campground, Haw Creek Falls offers visitors a breathtaking experience thanks to its turquoise waters contrasting with the mature hardwood forest around it. As if panoramic views of the falls were not enough, there are trails that take you out to the edge of, on top of, and below the falls. 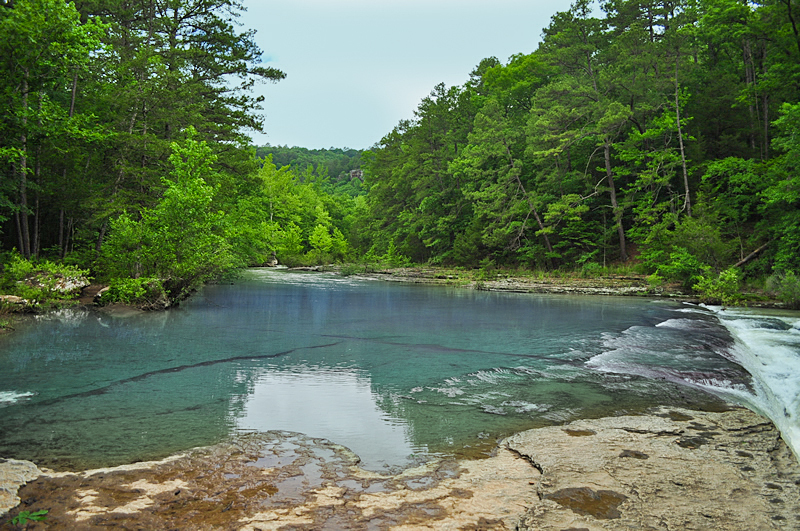 These forests are generously endowed with recreational opportunities for camping, hiking, swimming, fishing, hunting, boating, scenic drives, picnics sites, and opportunities for wildlife viewing also abound. 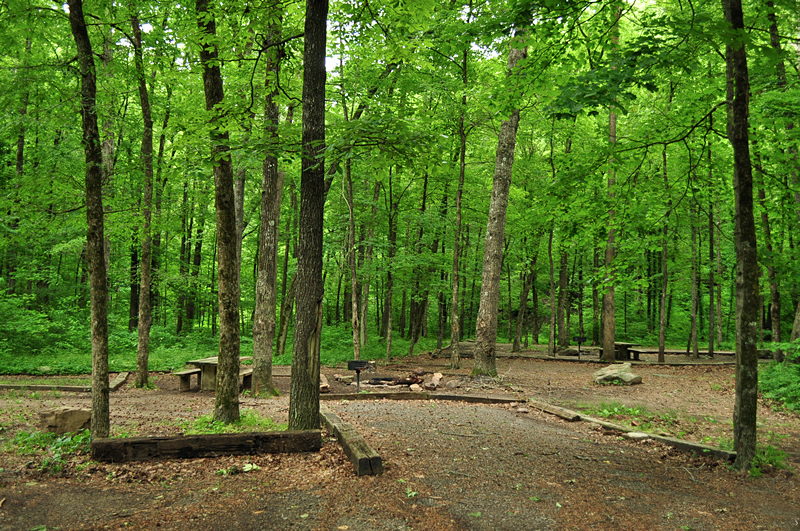 Haw Creek Falls Recreation Area & Campground offers 9 primitive sites to hikers and backpackers, as well as traditional campers. While there are no hookups, travel trailers are welcome. After checking out the waterfall make sure to continue on with the hike as the rest of the area’s forest provides its own stunning views and natural wonders.